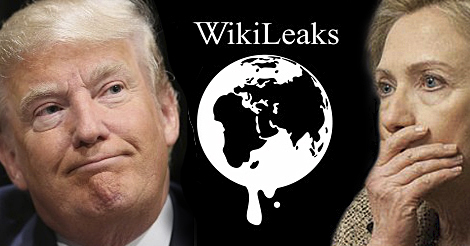 Donald Trump has called for an investigation into President Barack Obama after Wikileaks published more of Hillary Clinton’s campaign chairman John Podesta’s emails — including one that suggests the president knew about her private server. “Well, I now see why the president stuck up for Hillary, because he didn’t want to be dragged into it… Because he knew all about her private server,” Trump said in an interview with Reuters. The email that Trump was referring to was an exchange between top Clinton aide Cheryl Mills and Clinton’s traveling press secretary, Nick Merrill. The conversation implies that Obama knew about Clinton’s emails — as he had some from her using her private email address. Trump made global headlines when he declared during the second debate that he would appoint a special prosecutor to investigate Clinton’s corruption.